In previous blog posts, I wrote about quality professional Bill Howell’s diabetes diagnosis and how he managed his disease with Lean Six Sigma. Bill wrote a book, called I Took Control: Effective Actions for a Diabetes Diagnosis, and later when I spoke with him personally, he mentioned the importance of Hemoglobin HbA1c in diagnosing diabetes and how informative this single blood component can be. Hemoglobin HbA1c is a lab test that shows the average amount of sugar in blood cells over a 2-3 month period. The test can also be used to diagnose diabetes and can help diabetics manage their diabetes. 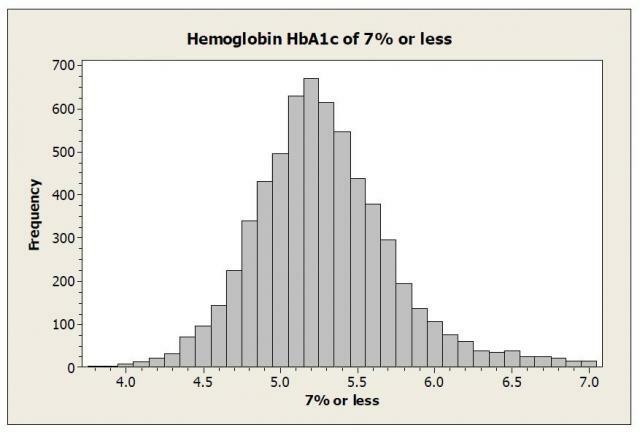 If an initial test concludes HbA1c levels are below 7%, then the test is considered normal and the person is likely a non-diabetic. However, if the initial test results show levels above 7%, there is evidence the person is diabetic. I don’t know about you, but when I have blood work and tests performed as part of a visit to the doctors, I don’t take the time to think about the claims behind my tests results coming in as “normal” or “not normal,” or how that decision is made. I’ve always just accepted that if my test results fall within the acceptable range, then I’m probably in good shape. As a newly diagnosed diabetic, Howell’s first HbA1c test revealed his levels at 15.3% – a very high test result that showed he was suffering from severe diabetes. In his role as a quality professional and being a self-proclaimed “numbers junkie,” Howell made sure to find out a little bit more about why the HbA1c guidelines for diagnosing the presence of diabetes were set the way they are and just how abnormal his test results really were. Howell noted that the interesting thing about this first chart was that it follows a normal distribution. There are no test results below 3.8%, and the frequency increases until 5.2% is reached, and then declines until 7%. 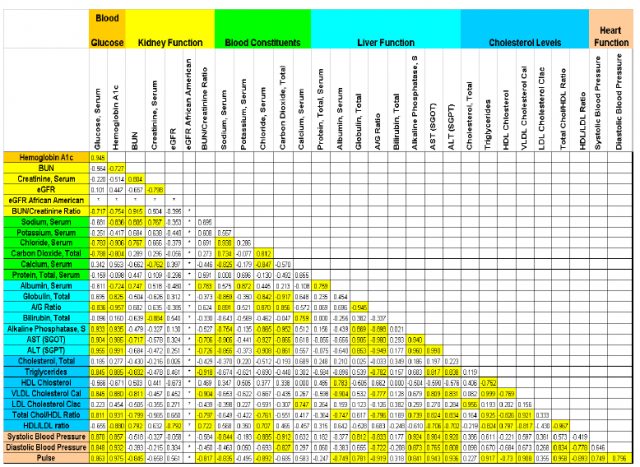 This first chart illustrates that the majority of the population tested wasn’t considered to be diabetic. It also helped Howell understand where the 7% guideline came from as part of the HbA1c test for determining the existence of diabetes. 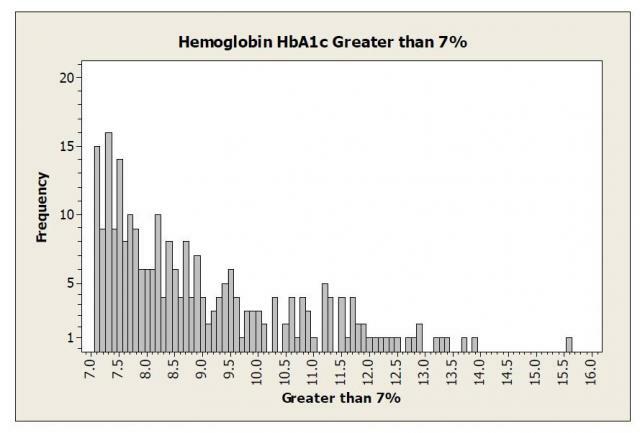 The chart shows that of the 6,493 participants surveyed, 256 HbA1c test results were above the 7% cutoff. Howell also noticed that the test results declined from left to right, showing the further right a person’s test results are – the greater the presence of diabetes. This chart hit especially close-to-home for Howell, whose HbA1c test result of 15.3% would have fallen among the highest of all the people surveyed by the CDC. He noticed exactly one person with a higher test result than his on this second chart! Because HbA1c is just one test in a battery of tests that are normally conducted when blood is drawn, Howell was also able to get the data behind the test results that concerned 27 other components of his blood, including blood glucose, total cholesterol, calcium, potassium, etc. Howell found that almost each blood component level was improved in some way as a result of having normal HbA1c levels. Through subsequent tests, he also found that his liver was healthier, his cholesterol levels were more favorable, and his blood pressure and pulse rate were lower. Keeping his HbA1c levels under 7% also reduced the pressure in his eyes, returning his vision to a more normal state, which allowed him to quit wearing highly corrective lenses. While not all of these positive outcomes, including fewer leg cramps, an end to incessant thirst, etc., could be analyzed with correlation like the blood components could be, Howell found it amazing that so many aspects of his health were tied so closely to HbA1c levels. Like with any Lean Six Sigma project, graphs and statistics revealed a tremendous amount of information about the data that may have otherwise gone unnoticed. How can you achieve normal HbA1c levels? According to Howell, HbA1c levels can be normalized if you work with your physician, watch what you eat, and exercise moderately. The ADA also has a lot of great information about HbA1c levels at http://www.diabetes.org/living-with-diabetes/treatment-and-care/blood-glucose-control/a1c/.